Recorded Live at Civic Centre, Santa Monica, USA - October 07, 1983. Files: 7. :: Size: 314 MB (flac). 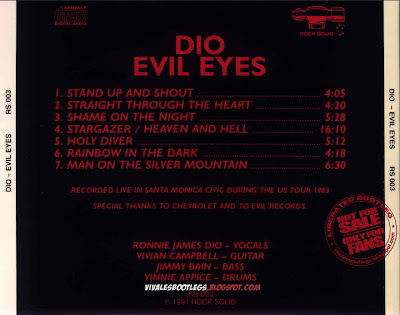 Personnel: Ronnie James Dio – vocals :: Vinny Appice – drums :: Jimmy Bain – bass :: Vivian Campbell – guitar. 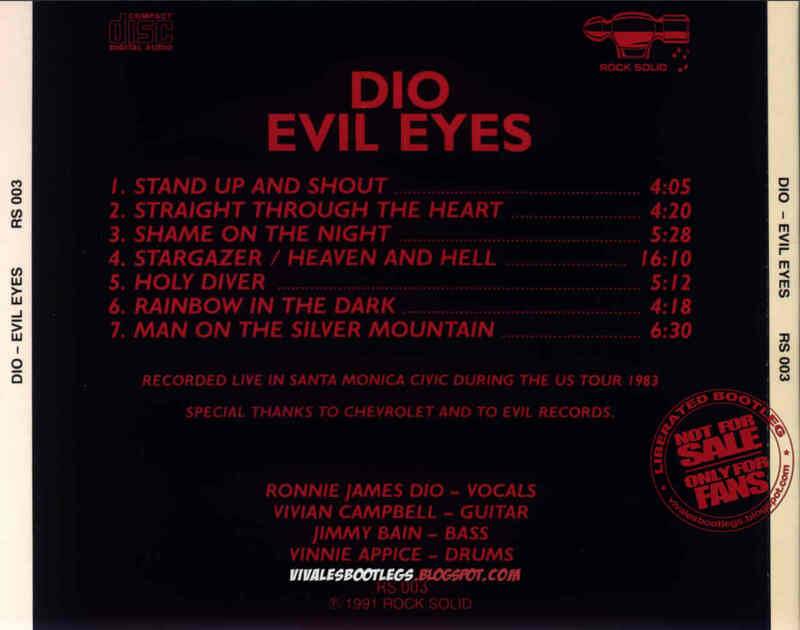 Notes: This is a killer bootleg from Dio's 1983 U.S. Tour. The sound quality is very good. Personally, I think it's BETTER than very good. 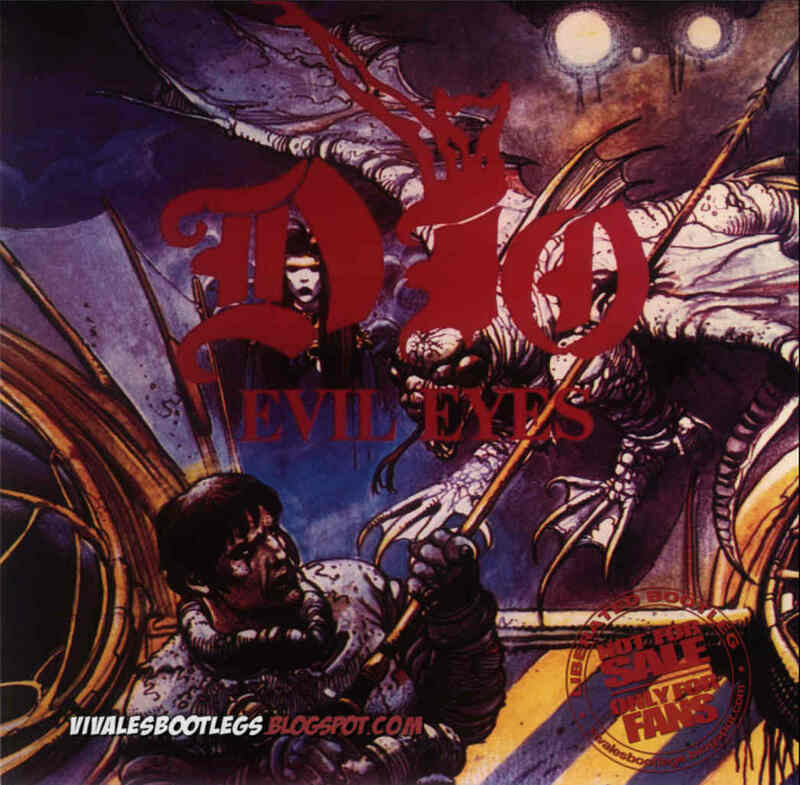 Rock Solid RS 003, Italy, 1991 - Sleeve picture drawn by comic artist Enki Bilal (originally made for the Evil Eyes 2LP bootleg). Thanks for the quality Dio! thank you very much! great bootleg which will make my way to work much more happy! Hello, it seems to be a problem with the links because the hotfiles ones are broken and the part 2 of the fileserve its also from hotfile and its broken too. I reupload the files to megaupload. All links were fixed. Everything is working fine again. Awesome gig! Thanks a lot, really appreciate it!